Dark Blue Games has announced the randomly generated rogue-lite action RPG shooter / dungeon brawler Infected Shelter is coming to Nintendo Switch in 2019. 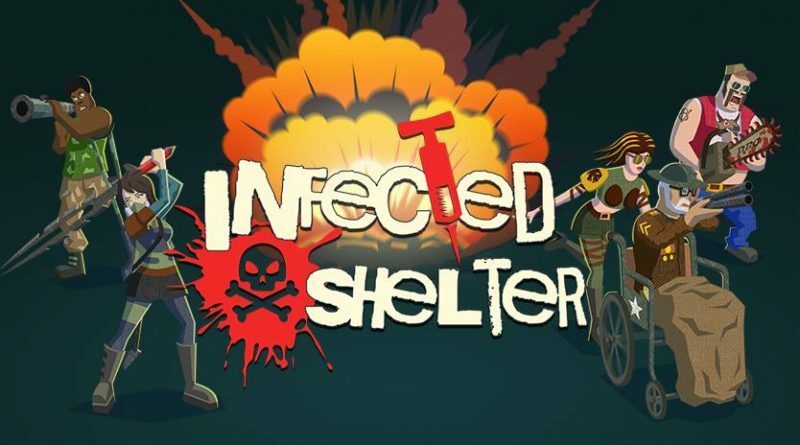 Infected Shelter is a bloody good apocalyptic fun. It attempts to take on the end of the world in a lighthearted, yet violent, way. Billed as a cross between Dead Cells and Castle Crashers, Infected Shelter mixes rogue-lite gameplay with co-op multiplayer insanity. Every run is different because of the randomly generated content. By beating enemies players can loot more than 150 different blueprints of permanent improvements and this is the key to Infected Shelter‘s replayability. Instead of just collecting loot to make yourself more powerful during a single run, you unlock new weapons, clothes, skills, relics and RPG-like character improvements that change how you play the game in the following runs.